Print and cut out our cupcake wrapper (below) and secure it around your treat with a bit of double sided tape. Tape the cupcake topper to a toothpick and pop it into the frosting. 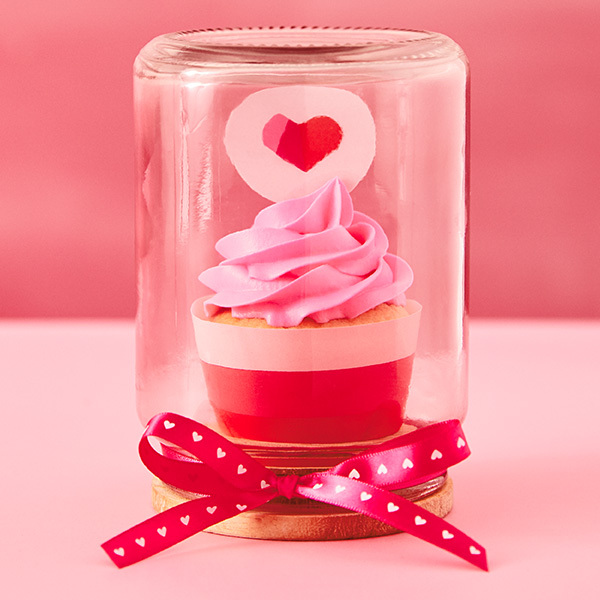 Put a small piece of tape on the inside of the jar lid and set the cupcake on top. Carefully place the jar upside down over the cupcake. Download the Valentine’s Day cupcake wrappers and tags here.